Upgrade to style and sophistication with this elegant Kenneth Cole watch. Boasting a stunning 32mm stainless steel case matched with a secure stainless steel band, this timepiece makes an ideal accessory for any affair. 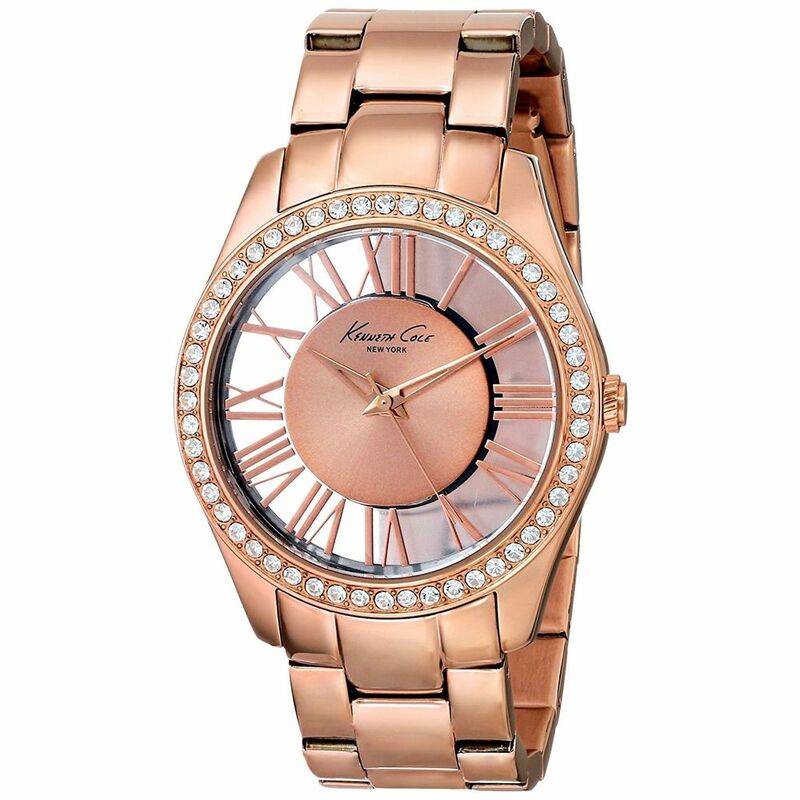 The rose-gold dial sits under a mineral crystal, which combines a stylish look and an easy-to-read display. The sleek, subtle design instills this watch with an unmistakable sense of luxury that cannot be matched. Additional features include water resistance up to 50 meters, crystal accents and measures seconds.